Dealing with a wasp nest is no joke. Not that you probably need convincing. These angry little buggers are well known to be fierce, territorial and frankly quite painful to encounter. Yet rather than leave it to a professional – many still opt to face these ill-tempered creatures head on. Let’s just say they like a challenge. As pest management professionals we certainly do not recommend this. However, it is likely that some of you are still going to try to tackle this issue on your own, so here are a few helpful do’s and don’ts from the pros. Do consider calling a pro. But in the meantime – Do perform some preventative maintenance around your home. This includes sealing cracks and crevices that become attractive nest sites. 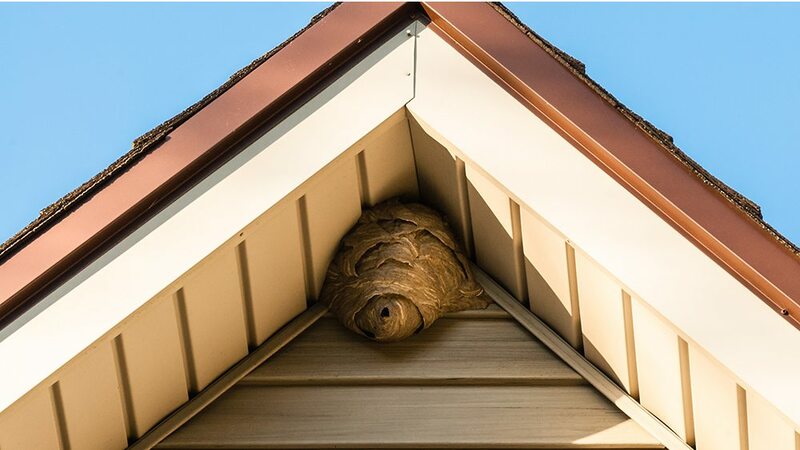 This also prevents wasps and other pests from entering and nesting inside your home. Don’t leave open trash containers. This can attract many pests to your home, including wasps. 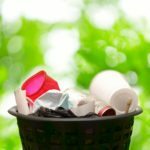 Keep your trash in closed containers, as well as other food sources that can attract pests to your home. This goes without saying but we will anyway… do approach an active nest with caution. Do consider calling a pro instead. Or if you must… wait till dusk or sunrise to perform your DIY treatment. This is when the nest becomes less active and wasps are more likely to be in the nest. Do wait a day or two before removing the nest to be sure all the wasps are eliminated. Don’t attempt to deal with an angry wasp nest that has moved into your home and walls. This proves to be a more challenging situation to resolve, even for the pros. 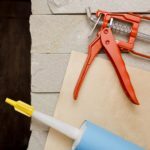 Often DIYers do more harm than good in these cases. You may cause the nest to delve deeper into your wall voids, disturb and rouse their anger and even create moisture damage from using aerosol in wall voids. Removing wasps from your property is not something to be taken lightly. The safest and most practical way to remove them is by calling a professional pest control company. Pest management professionals have the expertise and experience needed to accurately assess the situation. 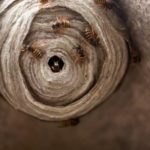 They use their extensive pest knowledge, equipment, and tools to take the best approach in permanently removing any wasps found on your property. If you’re having issues with wasps or other pests, contact the pros at Modern Pest Services at 1-888-997-3312 .